The Thuesday, 10th May, was the arrival day. All students were hosted in a familie of the organizing schools. 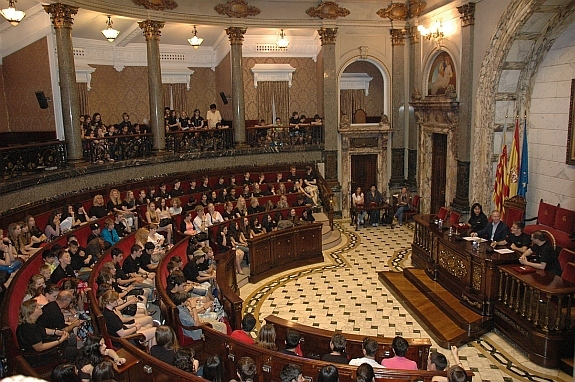 On Wednesday all students are welcome in the Town Hall of Valencia with a little present. Subsequently, all students conducted an excursion with a scavenger hunt and thereby they saw some important places of Valencia. Then they were on the beach and some have bathed in the sea. In the evening all went out with their host families. 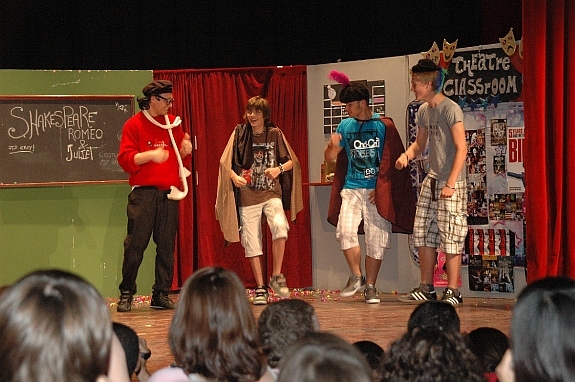 On Thursday, all students have worked in workshops and have created a funny video, a "lipdub", together. In the afternoon they learned together in mixed groups. On Friday morning one part of the students went to the theater of Picanya and viewed an excellent stage play based on "Twilight" in English language. Some were so "flashed", that they had to play in the act itself immediately as an actor. 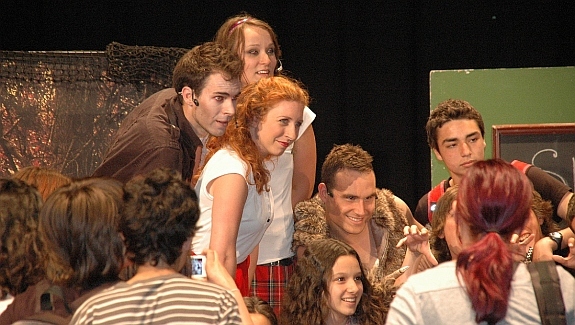 Also afterwords most of the students took pictures together with the actors. The other part took the posibility of a rehearsal of the own presentation on the stage in the Picanya Sports Hall and played some games around the hall. In the afternoon the groups swapped. In the evening all enjoyed the disco in the American School of Valencia. The rest of the day and the next day until departure the students stayed at their host families.